According to the Institute of Medicine, an estimated 7,000 deaths in the United States yearly are due to medication errors. And, the Agency for Health Research and Quality estimates over 770,000 patients are injured each year from medication errors. An error occurs in one of every five doses of medication in the hospital. These errors occur from a missed dose or wrong timing, inaccurate measurement, medication interactions, expiration or improper storage, confusion in medication or patient names, or incorrect route of administration. There can be errors in prescribing, transcribing an order or verbal order, misreading a label or incorrect documentation. One third of all errors are due to similar drug names. These errors can happen at any point along the process from prescription by the healthcare provider, to dispensing by the pharmacist or to administration by a nurse, ancillary staff person or patient. When you realize all the steps in the chain of getting a medication to a particular person, it is easy to see how vigilance, attention, and well-designed systems are essential to prevent errors. Many studies are examining how inattention from distractions, preoccupation and multitasking contribute to medical errors. Inadequate staffing and work overload contribute to increases in interruptions and multitasking. An Australian Health Informatics Research and Evaluation Unit reported that nurse interruptions resulted in a rise in serious medication errors. It was clear that when interruptions escalated, quality decreased. Interruptions included alarms going off, phone calls, co-worker inquiries and searching for supplies. Several studies report that information is lost during interruption. Multitasking creates a higher memory load, both contributing to medical error. They also found that most nurses accept interruptions as part of the job rather than taking steps to prevent them. When it comes to something as detailed as preparing and delivering medications, interruptions and distractions can be dangerous and at times fatal. 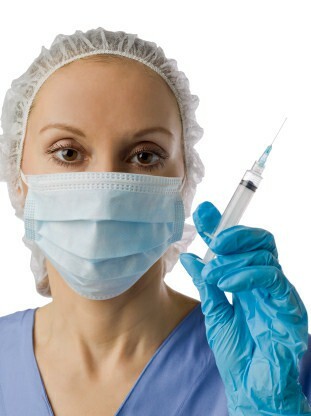 Providing proper medicine dosage, delivery and documentation demands full attention to detail. Providers must not short cut the safety procedures of double checking dosage, route and patient identification. It is also important to clarify poorly written prescriptions with the provider rather than making assumptions about what might be meant. Well-designed systems help to avert errors. Manufacturers are increasingly using “tall man” names that put parts of a drug name in all caps to make it stand out from a similar sounding drug. They are also increasingly making the labels of similar sounding medications look different from each other. Hospitals and pharmacies must have systems in place to separate similar appearing medications, to have a thoughtful (not rote) double check of drugs before they are dispense, and to minimize distractions from the act of preparing and administering medications. Have you litigated a case in which distraction played a part in a medication error? Share your experiences. Aila Accad, RN, MSN is an award-winning speaker, bestselling author and certified life coach, who specializes in quick ways to release stress and empower people. A health innovator, futurist and member of the National Speakers Association, she is a popular keynote speaker and radio and television guest. Her bestselling book Thirty-Four Instant Stress Busters: Quick Tips to De-stress Fast with no Extra Time or Money is available at www.stressbustersbook.com. Sign up for De-Stress Tips & News at www.ailaspeaks.com and receive a gift, “Ten Instant Stress Busters” e-book.